Helen M. (Bowen) Pisarro of Milford, passed away peacefully at age 87 on January 26, 2018 at the High Pointe House Hospice in Haverhill, MA after a brief period of declining health. Most recently residing at Country Center nursing home in Newburyport, Helen was born in Milford, MA December 7th, 1930 to John Bowen and Margaret (Regan) Bowen. She is predeceased by her husband of 49 years, Rico Pisarro who died in 2011 and her beautiful daughter Darica Ann who died in 2000 from injuries sustained in an auto accident, along with her seven siblings William, John, Marion (Chapman), Raymond, Anna (McHale), Robert and Alice. She is survived by her daughter Danita Ann Hynes and husband Doug of Newburyport and their son Ean Douglas, her one and only beloved grandchild, her sister Peggy Matthews of Lady Lake Florida and her longtime friend and sister-in-law Carol Bowen, along with many nieces and nephews. She was a devout Catholic and a weekly communicant of Saint Mary of the Assumption Church in Milford, until she was moved to Newburyport in 2015. Helen had a full and wonderful life that included discovering her Irish ancestry with her beloved brother Bob. Multiple trips to Ireland provided opportunity to bond with a family she did not know she had and has resulted in an ever-lasting connection to our relatives. Helen will always be remembered for her love of cooking for others, as well as supporting the New England Patriots and Boston Red Sox. Helen was a woman of 2018, working various full and part time jobs in addition to being a professional homemaker. 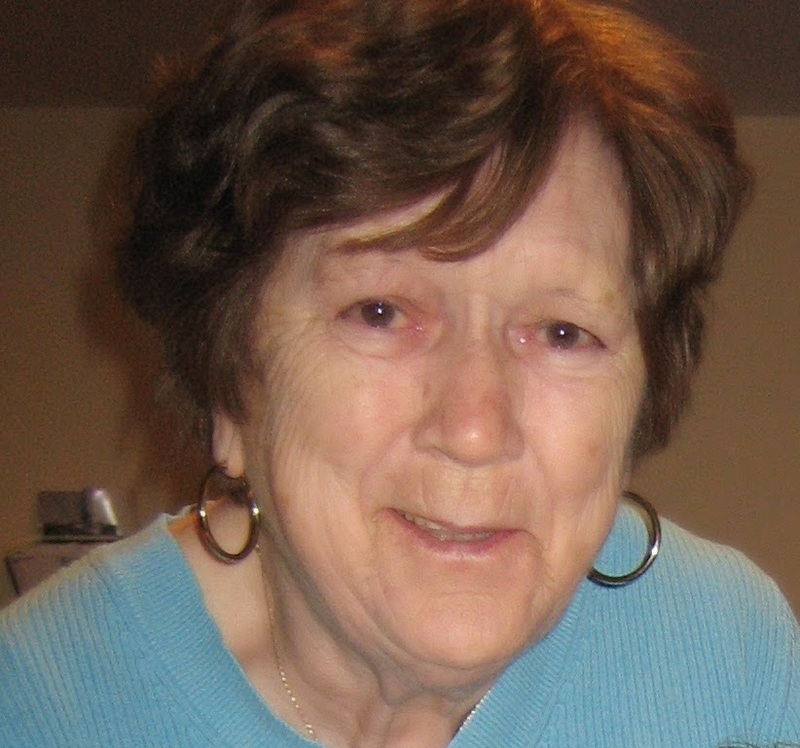 After retiring from a full time position at Volpe Tool & Die, she worked at Star Video, as well as Midtown Racquetball Club in Milford, where she worked in the day care center - bringing her much joy as she loved being around children. Above all else, the greatest loves of her life were her daughters Danita and Darica, whom she imparted an amazing ability to see the good in people of all walks of life. She spent much time in her later years with her only grandchild Ean, swinging on swings and see-sawing at local parks - providing an extraordinary foundation for someone growing up in today’s technology-centric world. All family and friends are invited to attend a memorial service to honor Helen’s memory. Her funeral will be held Wednesday (January 31st) at 11am from the Consigli-Ruggiero Funeral Home, 46 Water Street, Milford, MA followed by a funeral Mass of Christian Burial at 12pm at St. Mary’s of the Assumption Church at 27 Pearl St, Milford, MA. Burial will follow at Sacred Heart Cemetery Milford. Visiting hours will be Tuesday (January 30th) from 5-8pm at the funeral home. Arrangements are under the direction of the Consigli-Ruggerio Funeral Home 46 Water Street, Milford. Much love to a wonderful woman who raised an amazing daughter Danita and left an everlasting imprint on the world. Danita, Doug, and Ean - so sorry for your loss. We will all miss Helen - she was so loving and positive! She is finally at rest now. Wishing you peace at this time. Danita, Doug and Ean, sending thoughts and prayers and hope that your many happy memories guide you all during this very emotional time. To Danita and family, you are in my thoughts and prayers as you mourn your loss and also celebrate the love that was such a blessing from your Mum. I was blessed to know your mom when she worked for me at Star Video for many years. She was an amazing woman that we all adored. Her work ethic was second to none...Period. Not a single day ever went by without her singing the praises and love she had for her girls... or what she would be cooking for Rico that night. (boy could she cook)! She truly cherished you all. My sincere condolences! Joe G.
So very sorry to the family. Your mom was an outstanding neighbor to my mom when she lived in the Heights. She would take her out for coffee or give her home baked goods- the brownies were to die for -You are all in my thoughts. Sorry I couldn't be there but I am in Florida.